Painting the garage door is a chore most of us never think about, but it’s important to keep your door looking its best. Your garage door can make up about a third of your home’s exterior face, so if it’s looking shabby, it greatly decreases your curb appeal. Fortunately, while painting the garage door is a time-consuming task, it’s not especially difficult. Determine the material. 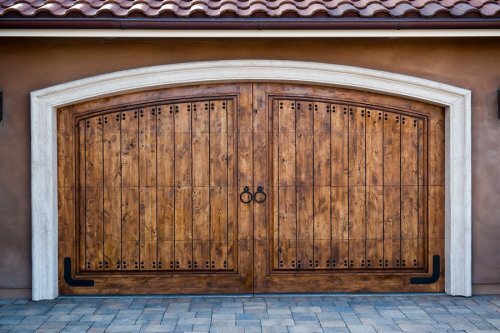 Most garage doors today are made of aluminum, but many older homes have wooden doors. While latex paint is a good option for both aluminum and wooden doors, aluminum doors need an oil-based primer, while wood can take oil-based or latex. Watch the weather. It’s best to paint when the weather is temperate, with low humidity, indirect sunlight, and temperatures between 50 and 75 degrees. Bear in mind that you’ll probably need three full days to complete the job, so make sure the weather will hold. Wear protective gear. Work gloves, a dust mask, and safety goggles will keep dust, debris, and paint from being inhaled or splattering into your eyes. Do your prep work. A wooden door with a flaking or peeling surface will require scraping and sanding before you apply the primer and paint. An aluminum door may have some rust spots or uneven places that can be scrubbed off with a wire brush and then sanded smooth. Finish preparing the door by washing it with all-purpose cleaner, a scrub brush, and a hose. Dry it with rags or towels, and let it dry completely before beginning to paint it. Keep paint where it’s supposed to be. Put down drop cloths to keep paint from dripping where it’s not wanted, both inside and outside the door. Use heavy duty painters tape to tape off handles, locks, and trim around the garage door, in order to ensure precision in your paint job. Apply the primer. To make it easier on your back, disengage the electric garage door opener and manually lift the door to a comfortable height, then begin painting from the bottom and work your way up. If your garage has inset panels, prime those first, with a 2-inch nylon bristled paintbrush. Wipe away any excess that’s made its way outside these panels, to create a smooth finish, before priming outer areas, using the brush or a ¾ inch roller. Allow the primer to dry for a full twenty-four hours before you apply your paint. Apply two coats of paint. This might not be necessary on an aluminum door unless you’re going from a darker color to a lighter shade. You might want to use a large brush to paint the door, to save time getting the job done. If the door is wooden, you’ll want to go with the grain. If it’s aluminum, you have more leeway, but should try to apply the paint as smoothly and evenly as possible. Allow the paint to dry completely before applying the second coat, at least twelve hours. Once you’ve completed your second coat, remove the tape and let the paint dry overnight before opening the garage door. Consider getting creative. You don’t have to stick to paint, or even a solid color. If you’ve got a wooden garage door, you can strip it down and stain it, for a unique look. With an aluminum door, you can paint it however you’d like: you’re limited only by your imagination, your home owner’s association or neighborhood regulations, and how good you are with a brush. Know how to clean up properly. Once you’re finished, and you’ve finished taking down the tape and putting away the drop cloths, it’s time to clean your brushes. It’s important to clean brushes thoroughly because paint left in brushes will make them stiff and unusable. If you’ve been using latex products, you can wash your brushes out with soap and water. On the other hand, if you’ve used oil-based paint, you’ll need to use a solvent like turpentine or paint thinner. Dip the brush in a generous amount of solvent until all the paint has come out, and then finish cleaning it by washing it in a thick solution of liquid dish soap. It can be helpful to separate the brush with your fingers, looking at the rubber base inside the bristles to make sure you’ve gotten all the paint off of the brush. You can make a big difference in the appearance of your door with a coat of paint. When it’s time to get a whole new door, though, it’s time to contact A1A Overhead Doors Company today. Our knowledgeable staff can help you determine exactly what’s needed, and complete your installation efficiently and professionally. Family owned and operated, A1A Overhead Door serves the entire metro Jacksonville area. In fact, we even go up to fifty miles into the outer countries. We are licensed and insured to cover both the client’s property and ours, and we’re proud to work with our clientele and will match or beat any competitor’s written estimate. For more information, you can call 904.579.1123 or contact us through our website. Today’s homeowners are increasingly concerned about the need to conserve energy, both to protect their pocketbooks and help preserve the environment. When you’re trying to think of ways to make your home more environmentally friendly, your garage door may not immediately jump to mind. 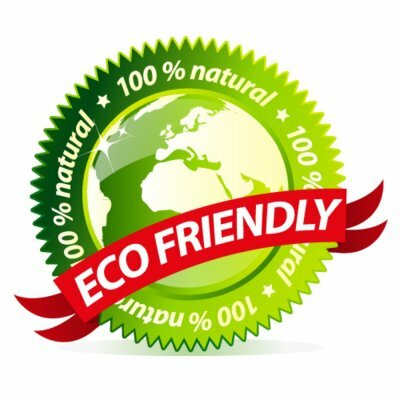 In fact, having an energy-efficient garage door is essential for any eco-friendly household. Here are some factors to keep in mind when you’re shopping for a new garage door in Jacksonville, FL. You can find garage doors that are made from a wide variety of materials, but the most common are steel, aluminum, and wood. Steel is considered to be the hardiest and most durable material, and layered steel will hold up well against denting and potential damage. Aluminum is another popular material, but its insulation value is lower than that of steel. Finally, wood is popular among many homeowners because of its classic, traditional look. If your garage isn’t properly insulated, it means that it will leak air and oblige you to spend more energy keeping your home at a comfortable temperature. The insulating power of a garage door is measured by its R value; the higher the value, the more effective the insulation is. Added insulation also has the benefit of making your garage more soundproof. Whatever type of material you settle on for your new garage door, you should be sure to select one that has a high R value. 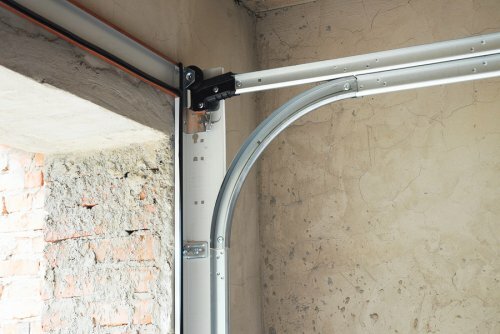 Finally, you need to make sure that your garage door doesn’t allow any air to escape from your garage when it is closed. Adding seals and weather-stripping to your garage door is a good way to help to ensure that it stays airtight and impermeable. You also need to make sure that your garage door is professionally installed—faulty installation can easily result in air leakage. A new garage door can make a grand statement in the entrance of your home. If you are shopping for a new garage door that is anything but ordinary, consider shopping for a carriage door. Carriage doors are unique because they slide horizontally to open. Unlike a traditional garage door, your carriage door will part in the middle when you press your garage door opener. A team of garage door installers near Jacksonville can walk you through the different carriage door options that are available for your home. There are many terrific benefits to choosing carriage doors for your property. When you install your new carriage doors, you will provide your property with the appeal of a country house. Carriage doors can also be adorned with special features, such as engraved panels, glass windows, and metal accents. Set up a consultation with your local garage door company to learn more about how new carriage doors can transform your home. If you want to revamp the appearance of your garage door, but want to avoid the expenses associated with purchasing a new garage door in Jacksonville, consider creating a faux wood finish on your aluminum doors. This video demonstrates the steps of painting your garage doors with a mahogany finish. After you have painted your garage doors a solid shade of brown, you can mimic the color of mahogany using a gel finish. Whether you are ready for a garage door replacement, or you want to spruce up your current doors, trust the experts of a local garage door company . Your technicians will have access to the special tools that are needed to paint, repair, and restore your garage door to beautiful condition. Whether you have just moved into a new house, or you want to boost the value of the home that you have lived in for years, a new garage installation is a great investment. 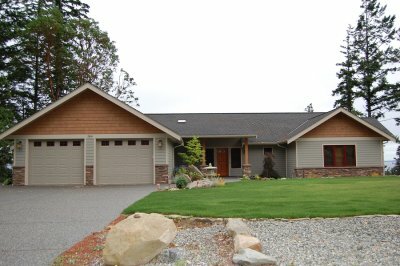 If you think that you can save time and money by installing a new garage door on your own, think again. A team of garage door experts near Jacksonville should always be hired to perform new garage door installations. If you are wondering whether you need to contact a garage door company for your upcoming project, here are three reasons why you should leave garage door installation to the pros. One of the best reasons to schedule professional installation services for your new garage door is that your technicians will provide you with better peace of mind, throughout the entire process. You can rest assured that your team will install your garage door safely and check to make sure that your unit is functioning safely. For additional assurance, your company may also provide you with a warranty for your installation. Installing a garage door is a complicated procedure that involves special tools and delicate equipment. A team of garage door installation experts will have the experience and tools that are needed to install your garage door. Rather than struggling with the process of installing a garage door on your own, you can rely on the knowledge and expertise of your garage door company. When you leave your garage door installation to the pros, you can save valuable time in your busy schedule. Your technicians will take care of every aspect of the installation, so you will be able to go about your daily routine, without needing to worry about the process. If you are gearing up to install a new garage door on your property, now is a terrific time to receive an installation quote from a team of local garage door installers. Garage remotes make it easier than ever to gain access to the interior of garages. After you install a new garage door in Jacksonville , your garage door experts will help you set up your remote system. After many years of use, however, you may find that your garage remote is no longer performing effectively. Rather than installing a whole new garage door, you may be able to restore functionality to your system by replacing your garage remote. If you are wondering whether it is time to replace your garage remote, look for a few key signs and symptoms. One indication that you are ready to replace your garage remote is when you find that its signal is starting to become very weak. You may also want to replace your garage door remote so that your home is up to date with the latest technologies. 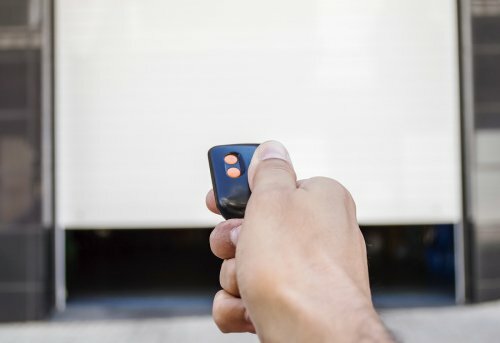 Newer garage door remotes can connect to Wi-Fi networks so that they are integrated with smart home systems. When you install a new garage door in your home, you will need to make sure that your system has been properly balanced. This video from LiftMaster demonstrates safe techniques that can be used to check the balance of your garage door. If your garage door is unable to stabilize itself with its springs, this could indicate a balance issue. With services from a company that offers garage door repairs near Ponte Vedra , you can restore balance to your system. From repairing balance issues to fixing a garage door spring that is broken, your team of garage door experts can provide you with many different services. If you have noticed performance issues with your garage door, take the time to set up professional garage door repairs for your home. When your new garage door starts to show signs of wear and tear, you can restore its beauty with simple cleaning procedures. This video demonstrates some essential tips and tricks that you can keep in mind when you are cleaning your new garage door in Amelia Beach. To remove light dirt and grime, you can spray your garage door down with a mixture of soap and water. Very dirty garage doors may need to be washed with a garden hose. If your current garage door installation is looking very dirty or damaged, consider setting up a replacement. When you replace your garage door with a brand new unit, you will restore the curb appeal of your residential property. You may also find that your new garage door is very easy to clean and maintain.